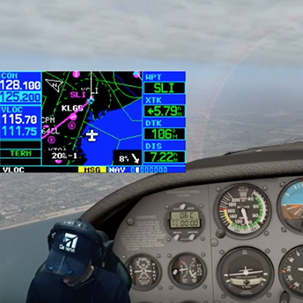 To obtain my Instrument Rating license in flight simulator, I set out to earn all of PilotEdge's IFR I-ratings. Don't know about PilotEdge yet? Visit them right now. There and back again. 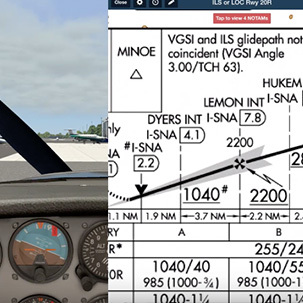 This first IFR rating involves a simple flight from KSNA to KSNA, with vectors for the ILS RWY 20R approach. This is the IFR equivalent of pattern work. YEAH! Passed my first rating! Some valuable feedback Keith after engine shutdown, though. Always something to learn. Short hop. File IFR flight plan from KSNA to KCRQ. Fly IFR from KSNA to KCRQ, requesting vectors to the ILS RWY 24 final approach course. That was a nice flight. Glad I passed!! TEC routes. File IFR flight plan from KSNA to KBUR using the specified TEC route and fly IFR from KSNA to KBUR, requesting vectors to the ILS RWY 8 approach. ATC picks the destination, you find, file and fly the correct route. 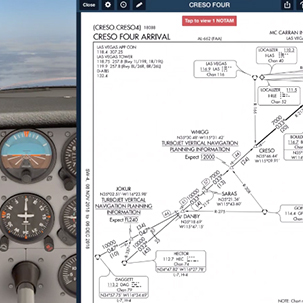 The pilot flies IFR from KSNA to a destination of the controller’s choice, filing an IFR flight plan using the preferred routing. Weather permitting, the pilot will conduct a visual approach at the destination airport. 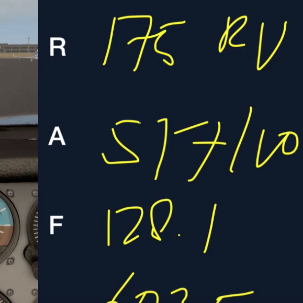 Nice and basic IFR flight to Ramona. I did great. Especially after having not flown for a month. Intro to SIDs/STARs. 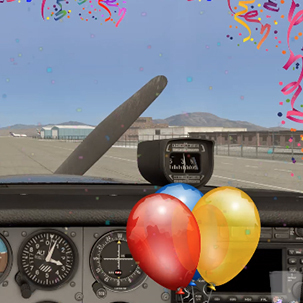 Fly from Burbank (KBUR) to Las Vegas (KLAS) via predefined routes, picking one that is appropriate for your type of aircraft. SID from KLAX. 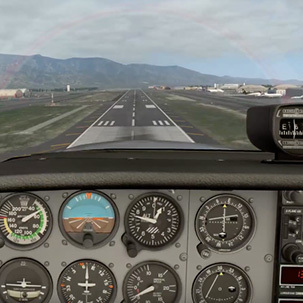 Fly from KLAX to KSNA using the appropriate TEC route and fly a full approach from SLI, without vectors to final. Quite a basic flight with many familiar procedures. Still, several risky moves crept in. Have a look. 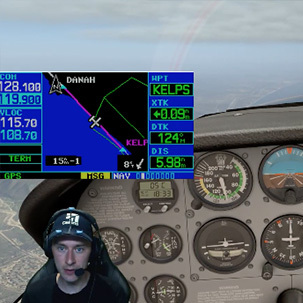 Introduction to non-towered IFR operations. The pilot will fly IFR from KSNA to KAVX and shoot the VOR/DME-B approach from SXC. Very smooth and scenic flight into Catalina island! 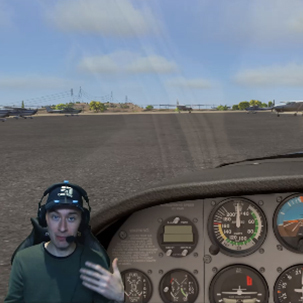 I could've been more precise with my altitudes and radial flying. Non-towered IFR departure. 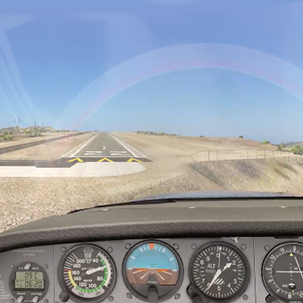 Non-towered IFR departure then vectors for LOC RWY 27 approach at KSAN. Very smooth, very effortless. Learned: Don't just 'brief' but also 'memorize' (elements of) your instrument approaches. Profile SID/STAR. KLAS to KLAX via BOACH or MCCRN SID and the RIIVR STAR into LAX. Missed approach. 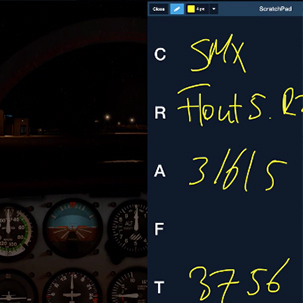 SID from SBA, LOC/DME BC-A into KSMX, missed approach, hold, divert to KSBP for the VOR-A from MQO. Meet your arc enemy. Non-towered departure using Obstacle Departure Procedure, hold at PDZ, VOR/DME RWY 17 at KVCV, missed, then cancel IFR and land under VFR. YES! DID IT! 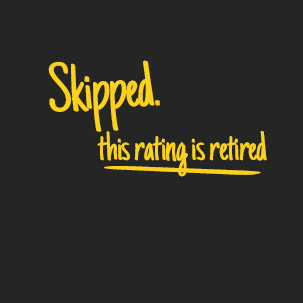 Passed for the final rating and can now proudly call myself an instrument rated simpilot.